Skills Required: Basic knitting skills including casting-on, knitting & purling, and working with double pointed needles..
Techniques Taught: Material selection, basic shaping for a mitten, picot, and how to bind off. Materials: DK weight yarn, US #5 dpn needles. Free pattern can be downloaded HERE. This workshop is suitable for Intermediate Knitters. Susie Rogers Reading Mitts are practically a classic! Elegant and simple, they make a great gift. We'll review all of the techniques required to successfully knit this project. 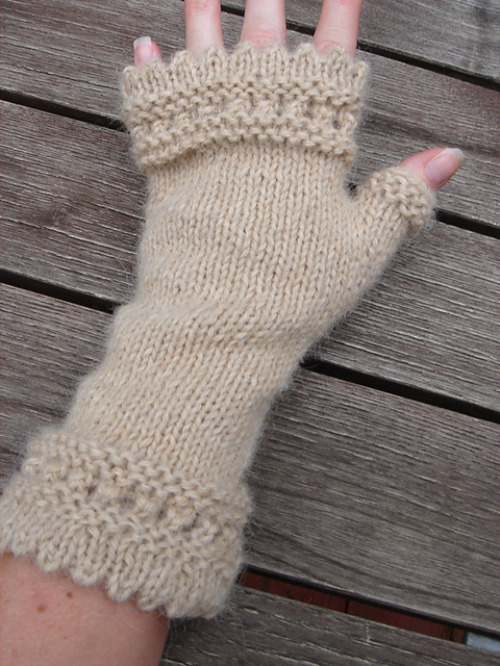 You will do most of the knitting on your own after the Workshop.